A Russian former diplomat and academic is causing some anxiety in the US with his prediction that the republic will fall apart in 2010 (no nothing to do with the Scottish independence referendum.) The Wall Street Journal report that Igor Panarin's predictions are beginning to be taken seriously by Russian state media. "California will form the nucleus of what he calls "The Californian Republic," and will be part of China or under Chinese influence. Texas will be the heart of "The Texas Republic," a cluster of states that will go to Mexico or fall under Mexican influence. Washington, D.C., and New York will be part of an "Atlantic America" that may join the European Union. Canada will grab a group of Northern states Prof. Panarin calls "The Central North American Republic." Hawaii, he suggests, will be a protectorate of Japan or China, and Alaska will be subsumed into Russia. "It would be reasonable for Russia to lay claim to Alaska; it was part of the Russian Empire for a long time." A framed satellite image of the Bering Strait that separates Alaska from Russia like a thread hangs from his office wall. "It's not there for no reason," he says with a sly grin." Personally it sounds like the basis of a great novel or possibly HBO mini-series although Sarah Palin might not like to watch it. 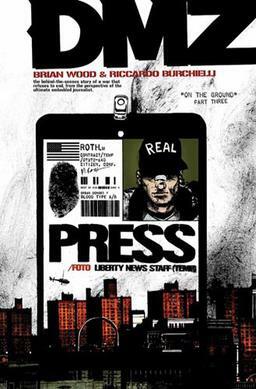 It is also not unlike the plot to Brian Wood's terrific DMZ. Damn, more immigration forms and fees. Looks like affording Home Office charges is the least of my worries. How was the Wedding Present? Stereolab double rocked. As usual. Yeah dodge the civil war at home and stay in Scotland. Weddoes were immense (see below) sorry I missed Stereolab but didn't fancy a trip to Glasgow.